It is amazing that every year we make new resolutions, set new goals, try to learn from old mistakes, remove all negativities; in short, we want to become a better person than the last year. But what exactly happens when the New Year becomes a little old? We tend to forget our resolutions one by one. Dealing with new set of challenges, another new year comes. The reason may be we keep our old wounds open from the situations that are no longer matter, we regret for things we can’t change, we drag our negativities years after years. Mishuk came to me and asked inquisitively what my New Year resolution is. For him, when there is New Year, there must be a few resolutions. I told him, not to wait for the New Year to make resolutions. Whenever you feel you need to promise something to yourself, it does not really need any special occasion and when you are done with making your resolutions, try not to forget them. So, this year my resolution is keeping the old promises I made to myself and not to regret about anything. And the NYE plan? Well, just a small homely party with few friends where me and Mishuk will bake a cake for the guests. I know, this is going to be a big ‘Lorai’ for us! But we are very excited about it. Otherwise, this food department is totally taken care of by Arpita! 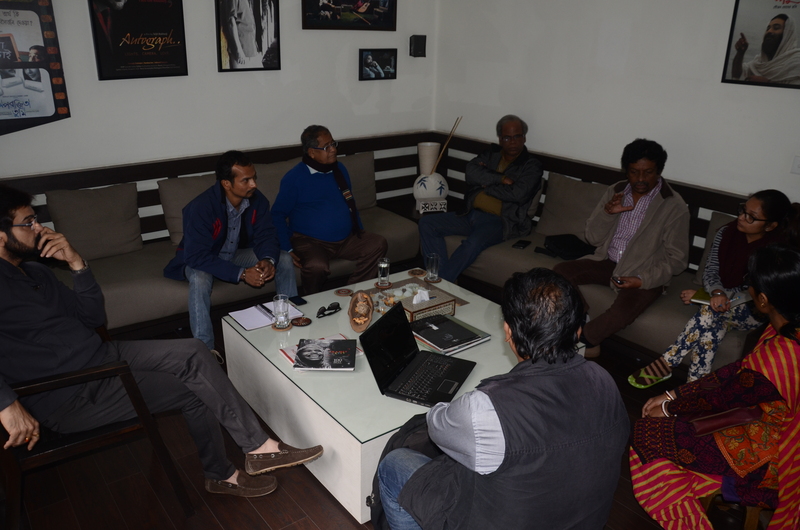 With the approach of the New Year, pre production works of Goutam Ghose’s Shankhachil has been started. After “Moner Manush”, this is going to be another very important project. Goutam da has a keen eye to every detail. The emotion he pours into the subject reflects. I feel, one just cannot play the character in his films until they live with it. While shooting “Moner Manush”, I separated myself from my family and the rest of the world to live like Lalan. It was very important to touch his (Lalan) soul, the bohemian genius! My character in “Shankhachil” is something challenging which is encouraging me to push my boundaries. Most of the time I rehearse alone though Goutam da is there helping me to understand the character better. Without being engrossed in the character, one cannot understand and feel what more can be put into it to make it an object of flesh and blood. My team along with Goutam Da’s creative team is taking care of the production design and script. They are doing an extremely good job. Costume designing is being done by Neelanjana boudi herself. Sometimes, I feel very fortunate to look back on my journey. I got to play so many different roles which are poles apart from one another. May be, this wonderful journey of discovering and reinventing ourselves called life. Love you and God bless. How we waited for Santa to come and leave a gift for us at midnight! Knowing fully well, the Santa is none other than Maa. I think, we can all relate to this not so sinful pretention. When we grow up, we become Santa for our children and thus the legacy continues. As our approach to life changes, our material needs of boyhood (physically also psychologically) take a back seat. Reaching at this point of life, I simply want my family to be blessed with all the goodness of life. And this Christmas, not only gifts and chocolates, I planned something bigger for Mishuk! As I already told earlier, Mishuk is very fond of football. So, there could be nothing more exciting for him than an adda session with ATK players at my house. Their win is something really commendable. The best part is we just won both IPL and ISL this year. Other than felicitation, good wishes and congratulatory messages, there is a bigger picture to think upon. The first edition of eight-team tournament with celebrity owners like Sourav Ganguly, Sachin Tendulkar and high-profile football players created quite a buzz in an otherwise cricket-crazy country. The crowded stadium, the roar, discussion in social media and the craziness found in people to watch the matches-all are pointing out that it is the time to take this game seriously. I feel, our love for football was somewhere suppressed under the exposure cherished by the game called Cricket. Even the lifestyle of the cricketers get highlighted and hyped by media. Whereas, we don’t really bother about the struggle that footballers face in this country. There are a good many football teams with talented players but there is a lack of infrastructure for which they are getting demoralized. The game needs much more professional approach. The players need proper training and grooming so that they feel confident enough to play the bigger matches. So, here only words of praise will not be enough. Can you hear the Jingle bell? Of course, you can! Christmas is just two days to go. Mishuk’s gloomy face was constantly reminding me that the Christmas tree is yet to be decorated. The preparation for Christmas has not even started! I had to take some time out for him. From buying cards, toys, chocolates to decorating the trees-accompanying your child in these little joys of life are a different feeling all together. It was amazing to notice that he is more organized than me. He made a list of the materials first. When they are brought, he checked them thoroughly according to the list and then gave a final nod that now we may proceed to decorate the Christmas tree. We started to decorate the Christmas tree. His face was brimming with joy and eyes were sparkling like a star! Decorating tree was just an excuse; I wanted to see these wonderful expressions of my child. Finally, the Christmas tree got ready. 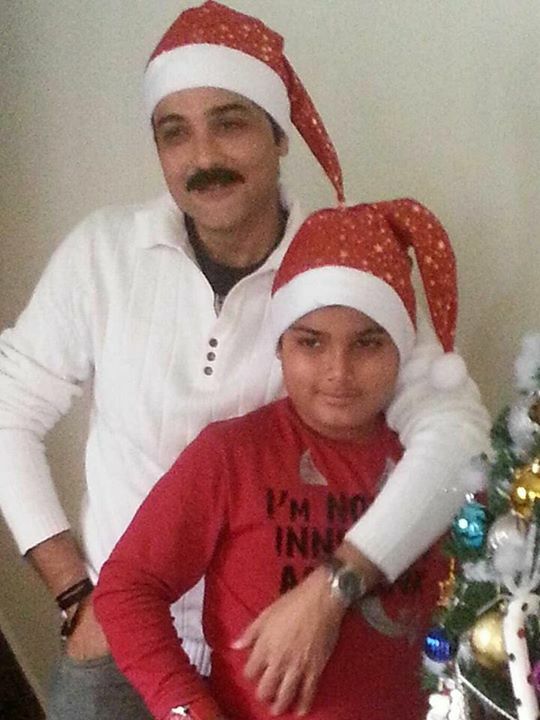 Now, Mishuk is all set to welcome Santa. Trust me, I’m loving it! 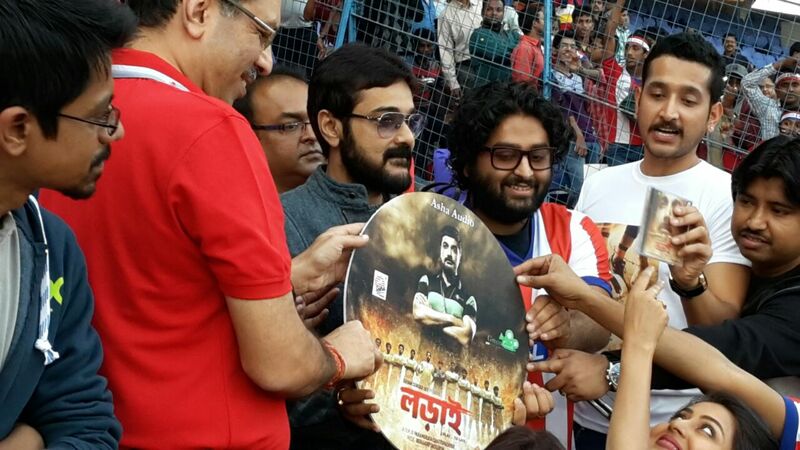 The excitement, the rush, the enthusiasm people are showing for ‘Lorai’ is incredible. It is a great encouragement for the whole team. The mercury of excitement is getting higher and higher. After the poster launch ‘Lorai’ has managed to create a buzz. The Music launch in Saltlake Stadium just before the ISL Match was another grand successful event where the busiest singer of Bollywood flew from Mumbai to be the part of it. Arijit Singh has sung two songs for ‘Lorai’ which will definitely be loved by the audience. I can say that so confidently because we went to the Salt Lake Stadium to watch the match between ATK vs FC Goa where Arijit performed ‘Kichu Kichu Kotha’ from Lorai and the reaction of the audience told everything. The whole team clapped and cheered for Arijit with the audience. Indraadip Dasgupta has scored the music for six songs and also sang a song. Here, I think, Arijit Singh and Indraadip Dasgupta have a similarity. Where Arijit is the busiest singer in Bollywood now, Indraadip is the busiest music director here doing 90 out of 100 films being made! Kudos to both of you! Meeting with ATK team every time has been very exciting! The ATK players were impressed by Param when he greeted them in Spanish. Me and Antonio Habas bonded on a special level-I’m the reel coach of a village football team where he is the real one of ATK team! The practice session with the team made me realize what amount of discipline, fitness and dedication one needs to play such a game. Take a bow! Tomorrow we are going to Durgapur to find out our local champs. There will be a football match to encourage and motivate them. Who knows, may be some of them could get a chance to show their talent in some bigger platform. The candid interviews, the blessings showered in social media giving me a very strong positive vibe about the film. The subject, the songs and the characterizations all are very original and unique. So, cross my heart and hope to see it as a blockbuster of this year!!! As they say, “Nothing worth having comes easy”. So, it’s high time to work. As I told in my previous blog, I get some mystic energy to do more work when Mishuk is with me. So, just before Christmas there are a lot of work going on and lots more to accomplish. Back to back film releases, press conferences, pre-production works, promotions, preparation of the feature films-have kept my office people hurrying and running around all the time. They are not leaving a single stone unturned to make things happen smoothly. The team spirit is really commendable. It feels good to see young, vibrant and creative bunch of people working day and night tirelessly to make things perfect. They know how success looks like, so they are striving hard to give it that perfect shape. They inspire me a lot. Pre production works of Goutam Ghosh’s next film ‘Shankhachil’ under the banner of my production house has been started. After ‘Moner Manush’, me and Goutam da is working on this interesting project. It is a story about a school teacher from Bangladesh. This film will showcase the pathetic impact of the division of India-Bangladesh have to the people in both the countries. The subject is very interesting and I’m sure it will be loved by the audience. A director like Goutam da does not need any crafted word of praise. You all are accustomed with the level of intellect, heart and treatment shown in his films. In the mean time, the promotion and post production works of the feature films that will be shown on Zee Bangla Cinema is going on in full fledge. It is a film by Nideas, directed by Sudeshna Roy and Abhijit Guha. It is made for television only and will be shown at Zee Bangla Cinema on 18th January, 2015. A unique story told with a unique style by the very talented directors-duo. Don’t miss to watch it. The trailer is already there. So, all my office staffs are extremely busy with the projects. We need your blessings and best wishes to produce more good works. Love you all and God bless. Happiness than I have known before. It’s time for cupcakes, wrapped gifts, picnics, soccer matches and of course lots of quality time! Because Christmas is knocking at the door and Mishuk is back to home for a long winter vacation. My profession demands most of my time in a day. Sometimes, I feel guilty for not giving enough time to my family. But this winter vacation brings a breath of fresh air to my daily schedule. I feel the same excitement like Mishuk. It is my winter vacation too. My works do not seem to be very hectic even if I’m working for a few long hours at a stretch. I get some mystic energy in these days. We devote our time and energy on the things we care about. I think the same goes when it comes about caring for your child just to tell them I’m there with you. It is said that a happy family needs a loving and caring father who knows how to be a mother sometimes. I wish I could give him so much care like his mother all through the years. I simply compensate for that in this holiday. As Mishuk is very fond of Soccer, this Sunday we went to Saltlake Stadium to watch the ATK vs FC Goa clash. Match drawn but we had a good time cheering for the team. Often we go out to have some yummy Chinese food which is Mishuk’s favourite. 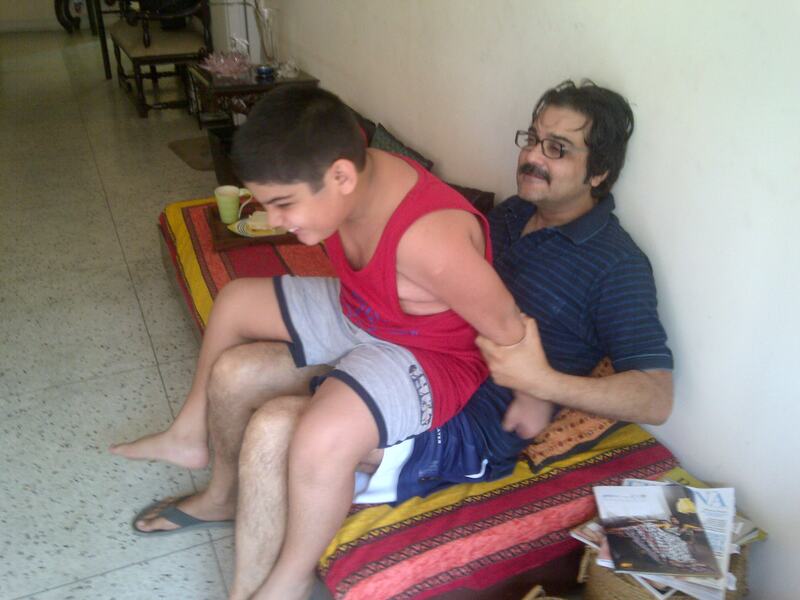 He also loves Bengali homemade food which he enjoys very much whenever he comes home. There is a stereotype idea that taking care of the children’s daily needs is mother’s territory, like cooking for them, giving bath to them, reading books to them, playing with them everything is mother’s duty. And the father’s duty is to protect. But I think these small small gestures make our children feel safe and protected more than anything else because then they feel they are not alone. So, this Christmas enjoy your fatherhood or relive your boyhood. Indulge in sinful food, watch movies, play games, do whatever makes you happy! After all, life is all about being happy. My vacation has started. Let me know about your plans. Love you and God bless. What is your plan for this Sunday? Is it going to watch a Bengali movie in theatre with popcorn? I know, most of you will answer NO. Majority (54%) Bengali film viewers in Kolkata have not been in theatres in last one year to watch a Bengali film despite proliferation of multiplexes, as the study reveals. IMRB partnered with CII (The Confederation of Indian Industry) has conducted a consumer survey, the first of its kind, across 8 districts in urban West Bengal to understand the changing nature of film viewership and the general perception of Bengali films among its target audience. It is shocking that around 30% of Bengali Cinema viewers do not contemplate watching a Bengali Film in a hall in near future and an additional 10% have stopped watching Bengali Films on big screens in the last one year, as says the study. Well, it is something to be taken very seriously, to make this industry not only to survive but also to thrive. An in depth interaction held to understand the present state of our industry and why is it so. How can we contribute to flourish this industry so that the thousands of people who work here to earn their bread can survive? The inauguration of the conference was on 12th and the final event was on 13th. I am very happy to say that it was a grand successful one. The main motive was to make people realize the present condition of Bengali Film & Television industry and what measures should we take to get more exposure. The Panel members included Ashoke Viswanathan, Bedabrata Pain, Anjan dutt, Sudeshna Roy,Amit Khanna, Jawhar Sircar, Goutam Ghose, Shoojit Sircar, Kamaleshwar Mukherjee, Srijit Mukherji, Parambrata Chatterjee and many other renowned and eminent personalities. Goutam da and I have been thoroughly associated with CII for few months regarding this initiative and I would say that the research work done by IMRB was too good and helpful.Being the chairperson for this year, I would like to congratulate IMRB for doing such a great research work done on this subject which reveals that only 46% Kolkata citizens go to cinema hall per year to watch Bengali films where as the percentage is 63% in rural areas. This is very shameful for us! But why is it so? It is quite understandable that city people has different taste than the mass audience. So, here content of a film plays a very vital role. Here comes the question, what is a good content? In these trying times for the Bengali Film Industry, there is general consensus that in the backdrop of a glorious past, Bengali Cinema content has ebbed over the years; gradually losing its popular resonance and contemporary relevance. We can say that there is a need of original stories which appeal the audience with their surprising elements, humour, thrill etc.if they are executed properly. But how can we ignore that the films which are based on literature have done great business. The stories of Feluda, Byomkesh and Kakababu,have been great box-office hits and also critically acclaimed. Chander Pahar, Moner Manush are also literature based films that have done really good business. In other hands, films like Bhooter Bhobishyot, Phoring, Chotushkone also have stolen the hearts of the audience with their treatment. So, the story should be rich, doesn’t matter if it is something original or remake or literature based. Bengali cinema today releases around a 100 odd films every year which is almost three times higher than comparable figures in 2005. The recent trend in box office collection has not been that encouraging. According to industry estimates, not more than 10% films released in a year break even and around a handful of films, typically 5-6 generate enough surpluses to be termed as hits. Through the discussion all of us agree to a point that the reason for which revenue of the films is less in these days in an extensive manner mainly is piracy. The films come to YouTube or Torrent just after 2 days of release. People just have to wait for 2 to 3 weeks for a movie just released to come on Television. Then why spend money going to a theatre! We should not forget that the primary revenue generator of a film is the box-office collection. For that a huge make over is required for the single screens to help the audience getting a better hall experience and this need organized investment. India is the world’s most culturally and linguistically diverse nation. We speak 22 languages, produce films in all these languages and also in many dialects. Bengali cinema has an enviable past and it continues to be one of the most vibrant regional film industries in the country. We also need a strong push from the Ministry of Information & Broadcasting to create platform for regional filmmakers and producers to market their films. In recent times we have seen films that have won Indian Panorama and National Film Awards being projected in international film festivals and markets. This needs much more focused attention. A decade back China began to focus and made their films reach the libraries in major Universities across USA. We need to showcase our films to university libraries across the globe. 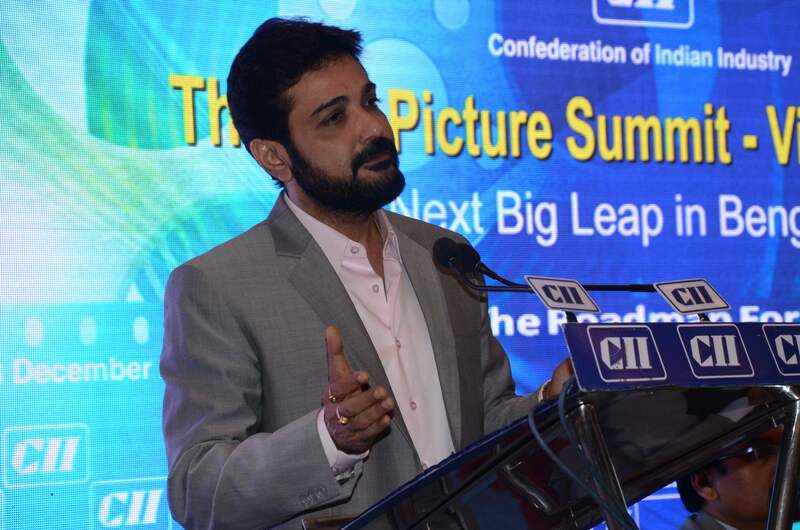 I thank CII under its flagship Big Picture for organizing this two-day conference in Kolkata. Love you and God Bless. Ooofff! What a day! ‘Lorai’ Music Launch was a grand event indeed. The Saltlake Stadium was full of enthusiastic crowd-shouting, cheering, giggling and enjoying. Along with the cast of ‘Lorai’, there was our musical team to make the event such a magnificent one! All the songs in ‘Lorai’ are very close to my heart. Kudos to Indraadip Dasgupta, our music director, for composing such beautiful songs. As the movie has many shades and layers, the songs equally go with the flow and mood of the movie. There is romantic number, also there is a song to motivate the players in the film…so, the audience will get the flavor of different kinds of music in one film. I’m sure the music will touch the hearts of the audience. Arijit Singh’s performance added the icing on the cake! Such a great singer he is! Other than Arijit, there were Prosen, Kaushiki whose contribution to the music of ‘Lorai’ is incredible. They have really done a great job. And Indraadip Dasgupta has done his best to make the music so lively. He is a gem of a musician! The audience was super excited to be the part of this grand event. This madness of the people encourages me to do more hard work and produce something better each day. Each day I want to do something more, something more fruitful, something that adds value to my life and the other lives surrounding me. As the music launch is over, you don’t have to wait for long to enjoy the beautiful songs from ‘Lorai’. I know, all of you are as excited as me to listen to the songs. They are coming very soon. Till then, take care of yourselves. Love you and God Bless! Press Conference on the impact of contemporary Bengali Cinema! What is the first thing comes into our mind when we talk about contemporary Bengali cinema? Variation of subjects, strong characterization, foreign locations, treatment of the screenplay, remake of Telegu films, item song-what? Of course, all of these! 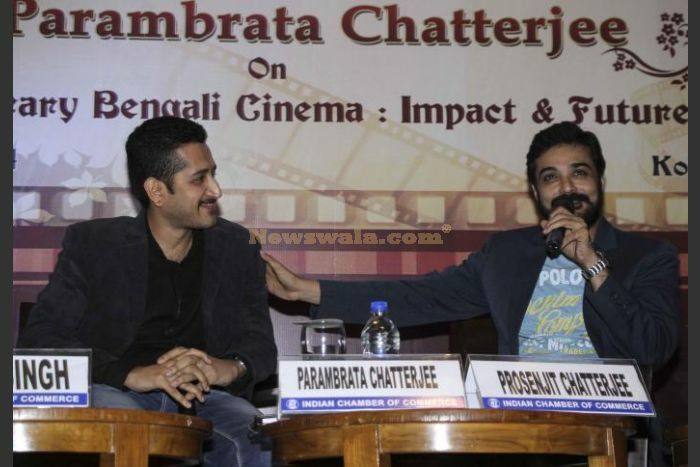 On 6th December Indian Chambers of Commerce organized a press conference at Taj Gateway where I was invited as a chief guest and Param (Parambrata Chattopahyay) hosted the conference where we had a discussion on the impact and future of contemporary Bengali cinema. There was a time when film buffs were divided into two separate parts. One of them is “Commercial” movie lovers and the other one is “Art” movie lovers. Thanks to the recent change in Bengali Cinema this distinct classification has been merged. Bengali movie lovers like to go to the theaters to be entertained and to get some food for thought as well. This might be a good sign for the industry but there are a few things to be concerned for. Though we Bengalis boast about our culture and literature and our intellectuality, do we really care for our individuality? In the south remakes, there are enough scopes to entertain people maintaining our “Bangaliana” but where is it? Frame to frame copy cannot go a long way. Adopting a story is fine, but the treatment should be different. The audience must find something new to spend their hard earned money. In other hand, if we only target the urban audience and make our films it will serve no good to the industry as a whole. The condition of the single screens should be improved to attract the audience. The industry will flourish when we will reach the mass audience. In South, though they have a larger audience, still they are very determined about maintaining their individuality. They love their language and independently take the initiatives to make the film to do good business. And what we do? We wait for critics’ review, our neighbors’ review, and ratings on the newspaper and then decide to watch a movie by going to the theatres. If this decision takes some more time, we end up buying pirated CDs. Can’t we just go and watch movies in theaters just for our love for cinema without being judgmental? It is especially applicable for those “intellectual” NRIs who shout about World Cinema without having any knowledge about the contemporary Bengali Cinema. They have absolutely no idea how this huge industry is running. 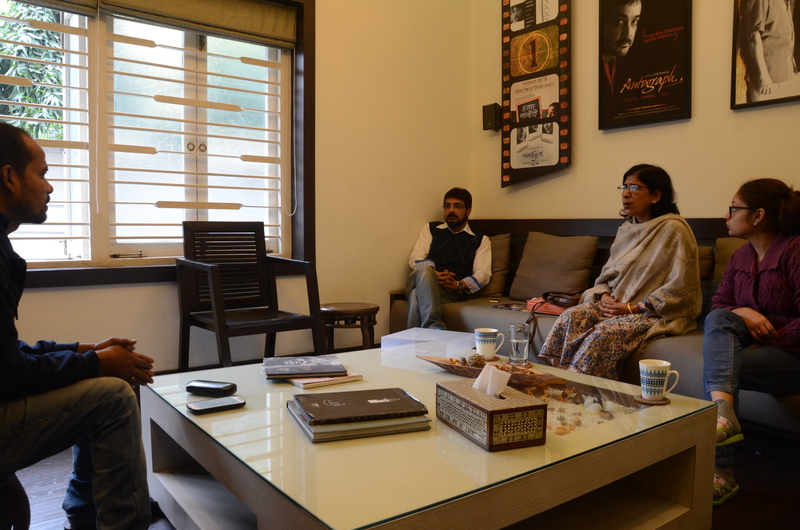 All of us have to take little initiatives on our part to ensure the stability of our Bengali film industry. For example, to reach to the larger audience we are trying to release our films in The States. So far, we have released our movies in Bangladesh and Singapore. I thank ICC for the great effort they have put to generate this awareness. It is really commendable. Love you and God bless. It seems the ‘Lorai’ has been started! Full fledge promotion is going on with the super energetic #Lorai team! 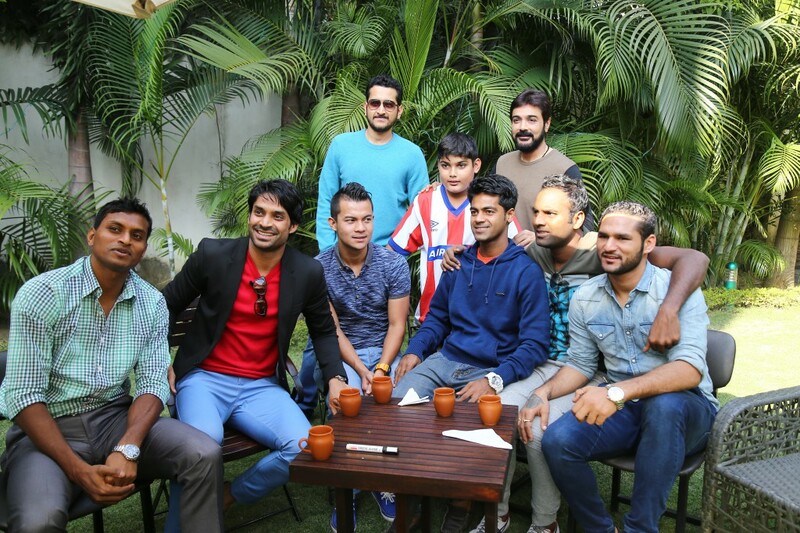 During the promotion, adda session with team Atlético de Kolkata was a memorable experience! Team work is something that helps you a lot to understand about life. Just realized, you cannot succeed until you are helping another person to succeed. And nothing guarantees success except your hard work, determination and some little bit sacrifices. While shooting in Purulia, each and every member of ‘Lorai’ team has really fought hard against the unbearable heat and dust. The dedication towards work reflected in the ultimate result. After the shooting gets over, we used to have the magnificent adda session which was really a stress buster. While talking about ‘Lorai’, how can I forget those good old days when friends and colleagues used to gather at my home to watch the World Cup together! Though the plan was watching football throughout the night, after few hours of immense enthusiasm, it was noticed one by one people falling asleep. While Mishuk comes to Kolkata, he makes sure to play a soccer match with me. I must admit, he plays football very well, at least better than me! He just loves to make fun of me when I do any mistake. I think, this is the best thing I enjoy while playing with Mishuk! May be that is the reason I keep on making mistakes. Love you, take care. God bless.